What a simple idea for a quick floral arrangement idea. 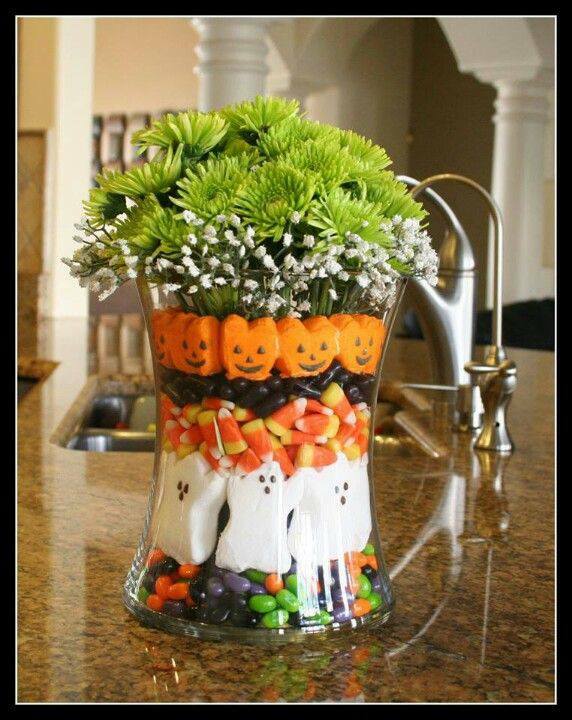 Fill the bottom of large pitcher or bowl with jelley beans, Place smaller vase inside and sill gap with marshmallow characters, candy corn and black jelly beans. Arrange floral bouquet in the inside vase. This entry was posted in Crafts ~ DIY ~ Projects, ~Halloween and tagged Bean, beans, black, bouquet, candy, corn, decoaration, DIY, Floral, flower, flowers, ghost, ghosts, idea, jelly, pumpkin, pumpkins, simple, ~Halloween. Bookmark the permalink.